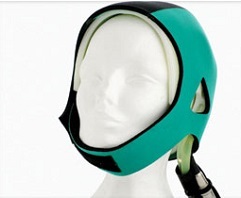 The DigniCap Cooling System, a scalp-cooling system designed by Dignitana to reduce hair loss due to chemotherapy, was cleared by the U.S. Food and Drug Administration (FDA) to be used in patients with solid tumor cancers, including ovarian cancer. Today, the U.S. Food and Drug Administration cleared the expanded use of a cooling cap, DigniCap Cooling System, to reduce hair loss (alopecia) during chemotherapy. This is the first cooling cap cleared by the agency for use in cancer patients with solid tumors. Hair loss is a common side effect of certain types of chemotherapy and is commonly associated with the treatment of most solid tumor cancer. Hair may fall out entirely, gradually, in sections, or may become thin. Hair loss due to cancer treatment is usually temporary, but minimizing or relieving these kinds of side effects are considered important to overall treatment. The DigniCap Cooling System is indicated to reduce the frequency and severity of hair loss during chemotherapy in solid tumor cancer patients in which alopecia-inducing chemotherapeutic agents and doses are used. It is a computer-controlled system used during treatment. A cap is worn on the head and circulates liquid to a cap to cool the scalp during chemotherapy treatment. The cap is covered by a second cap made from neoprene, a type of rubber that holds the cooling cap in place and acts as an insulation cover to prevent loss of cooling. The cooling is intended to constrict blood vessels in the scalp, which reduces the amount of chemotherapy that reaches cells in the hair follicles. The cold temperature also decreases the activity of the hair follicles and slows down cell division, making them less affected by chemotherapy. The combined actions are thought to reduce the effect chemotherapy has on the cells, which may reduce hair loss. DigniCap may not work with some chemotherapy regimens. In 2015, the FDA granted marketing authorization of the DigniCap for use in patients with breast cancer. For that authorization, the efficacy of the cooling system was studied in 122 Stage I and Stage II women with breast cancer who were undergoing chemotherapy, using recognized chemotherapy regimens that have been associated with hair loss. That study demonstrated that more than 66 percent of patients treated with the DigniCap reported losing less than half their hair. In support of the expanded use of the device, the manufacturer also submitted evidence from published, peer-reviewed articles that analyzed the application of the DigniCap to cancer patients with solid tumors in other areas of the body besides the breast. The FDA concluded that these studies provided valid scientific evidence to support the safety and efficacy of the expanded indication for the DigniCap. The device is contraindicated for pediatric patients, patients with certain cancers and patient undergoing specific chemotherapy treatments. Additionally, DigniCap may not be appropriate for patients with cold sensitivity or susceptibility to cold-related injuries. The most common side effects of the cooling system include cold-induced headaches and neck and shoulder discomfort, chills and pain associated with wearing the cooling cap for an extended period of time. The risk of the chemotherapy drug missing an isolated grouping of the cancer cells in the scalp because of the cooling cap is rare. Long-term effects of scalp-cooling and risk of scalp metastasis have not been fully studied. The FDA granted clearance of DigniCap Cooling System to Dignitana Inc.